Unexpectedly, friends began to respond to these posts with complimentary comments about my feet, even going so far as to call them “pretty for a man”. “Pretty”: not exactly a word I had ever associated with my feet (or my knees or elbows, for that matter); but heck… I had made a conscious and determined effort to take better care of my feet, teeth and skin over the past decade or so… maybe I just hadn’t noticed that my efforts might actually be paying off. The 3 of us still joke and laugh about man-feet every time we meet. And still, no improvement in “M”’s feet. “T” wins… (the wife always does). Start by getting a professional pedicure – add on the callus-removal service and a foot massage. Reevaluate your footwear. Are they crushing and deforming your feet? Give those babies some room!!! Get a foot scrubber or pumice and scrub the soles of your feet daily in the shower. Keep your toenails trimmed and clean. Exercise your feet daily to keep them supple and alive: Curl and flex your toes repeatedly; stretch your arches; rotate your feet at the ankle, clockwise and counterclockwise; spread your toes far apart as possible; do “the wave” with your toes, from big toe to little and from little toe to big. Treat yourself to professional foot massages every so often. They are wonderful; and you AND your feet deserve the extra attention. 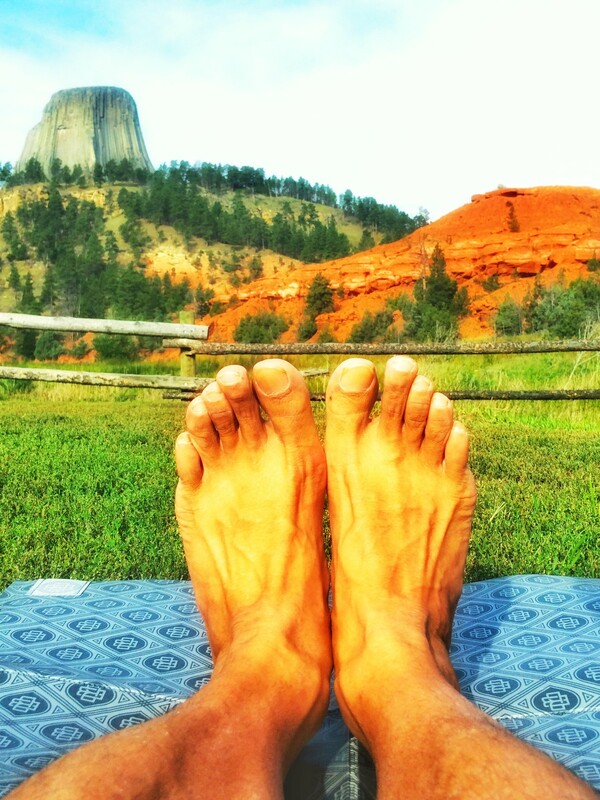 Take your shoes AND socks off as much as possible… let your feet BREATHE!! !